The pool is 1m 30cm deep, perfect for swimming and also for guests who can't swim as they can touch the bottom. There is no deep end, and the pool area is fenced in for the safety of young children. From the pool one has a beautiful view over the whole valley, a great way to relax at the end of a long day’s sightseeing, with the gentle sound of the water in the background (water tumbles from the smaller pool and into the larger one). The swimming pool is only open to guests and not to the public so that one can relax and enjoy the peace and quiet. The pool will be open from the 4th May until the 15th September, however depending on the weather it might open sooner and be shut later. 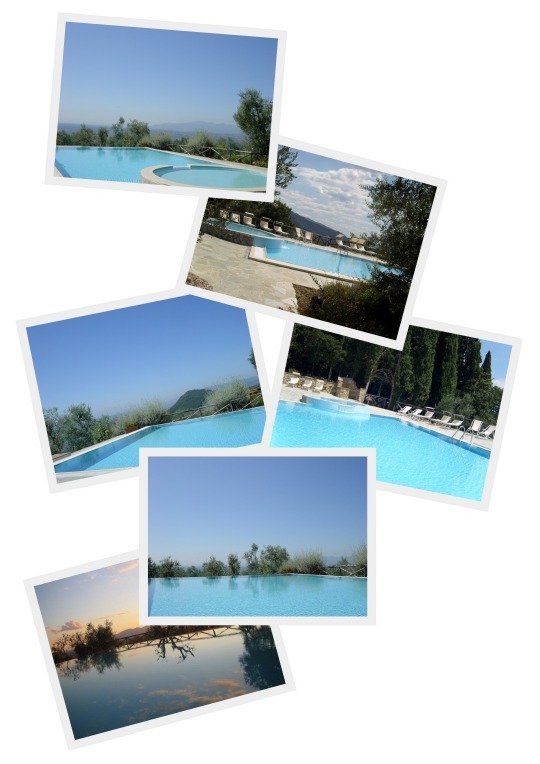 It is not heated as there is no need given the temperature in Tuscany during the summer months. Q: Are there any other restrictions? A: No food and drink please as we've had a few accidents in the past! And we request that there be no loud music as it disturbs other guests. Q: Are pool towels included? A: No, pool towels aren't included, so either you can bring your own or they can be hired for a small fee here. Q: Do children have to be accompanied? A: We request that children are accompanied by an adult in the interests of their safety. Please bring swim nappies for young children.